Cotton wristband for sports athletes. 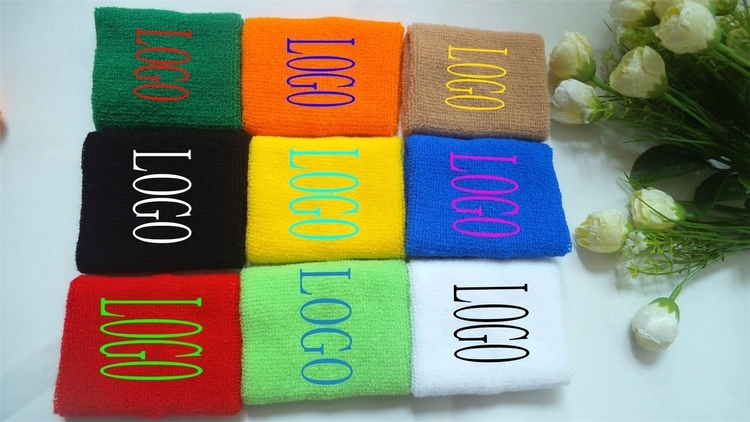 cotton wristband is also called sweatband, cotton sweatband, elastic sweaband, wristband etc. Any printing we can make for you just send the design to us. Most use embroidery to make LOGO. This price include 1 color 1side 1location embroidery. 3 1/5" x 3 1/5"
Package: 1 pc/opp bag, 500 pcs/ctn, 22 lbs/ctn.